Chris Dorosz has always been interested in deconstructing visual imagery into elemental units, and reassembling them in a way that challenges our visual assumptions. 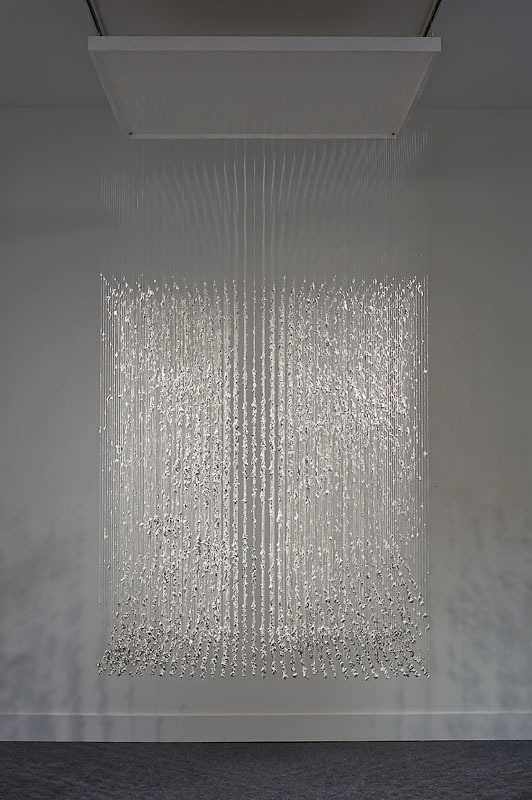 He is best known for his intricate figurative sculptures made up of dot-like paint drops suspended on a clear grid of acrylic rods. The colorful clusters of paint form figures that seem to materialize, floating in space, and interact in a way that is reminiscent of actors on a stage. 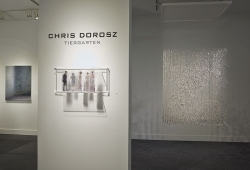 Born in Canada, where he earned his master’s degree at the Nova Scotia College of Art and Design, Chris Dorosz now makes his home in San Francisco. 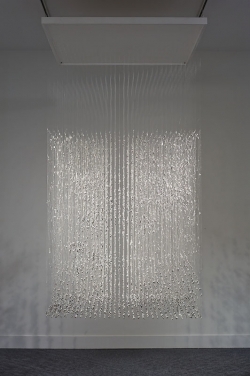 His work has been exhibited widely in Canada and in the Bay Area, including a solo exhibition at the San Jose Institute of Contemporary Art. He has been featured in Elle Magazineand Canadian Art Magazine, among other publications.